One year ago, the City Council legalized short-term rentals. The results have been disastrous for many neighborhoods, especially those in the historic core. We in the French Quarter were successful in maintaining our prohibition, but that doesn’t mean that we’ve been left unscathed. The laws make enforcement difficult, as evidenced by the dozens of still-operating illegal STRs in the Vieux Carré. Platforms, such as Airbnb, Homeaway, VRBO, etc., must be compelled to get city licenses to operate in New Orleans, as all other businesses must do. If they fail to abide by local laws, or the terms of their permits, they must face significant legal and financial penalties.Platforms must also be required to share data about their “hosts,” including owner and operator names, addresses, number of nights rented and prices, and complaints about discrimination or guest behavior.The fact that the platforms have no skin in the game and that any fines are assessed against the owners mean that they have no financial incentive to comply with our rules. And the lack of data sharing means that the city’s overburdened staff and neighbors – you! – have the onus of ferreting out and reporting illegal short-term rentals. In areas where STRs are legal, neighborhoods are being eaten up. 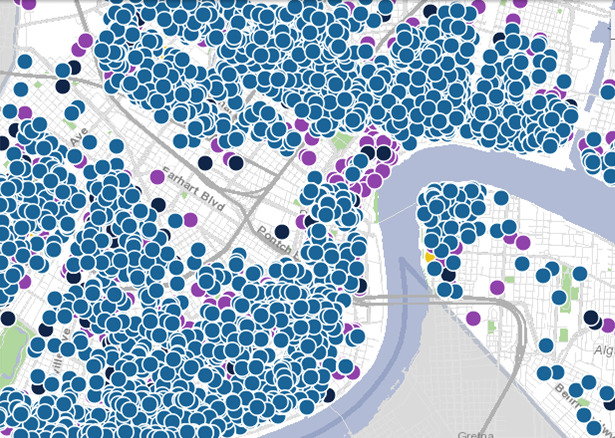 Our neighbors in Treme and Marigny now have some of the highest concentrations of STRs in the city – some blocks are saddled with 10 or more de facto hotels. This is due in large part to the “temporary” category of STRs, which allows for whole-house rentals. We join our neighbors across the city in insisting that the temporary category be tied to homestead exemptions. This change would prevent the widespread practice of investors buying homes and converting them into hotels. THE CITY PLANNING COMMISSION NEEDS TO HEAR FROM YOU! Bring your concerns, your complaints, and your ideas to the City Planning Commission meeting! This is YOUR chance to be heard on this pivotal issue! * The Short-Term Rental meeting will begin after the regular City Planning meeting ends. That meeting begins at 1:30 and may go longer than 3 pm, but in no case will the Short-Term Rental meeting begin before 3 pm. They will take public comment until 8 pm, so come by at any time.